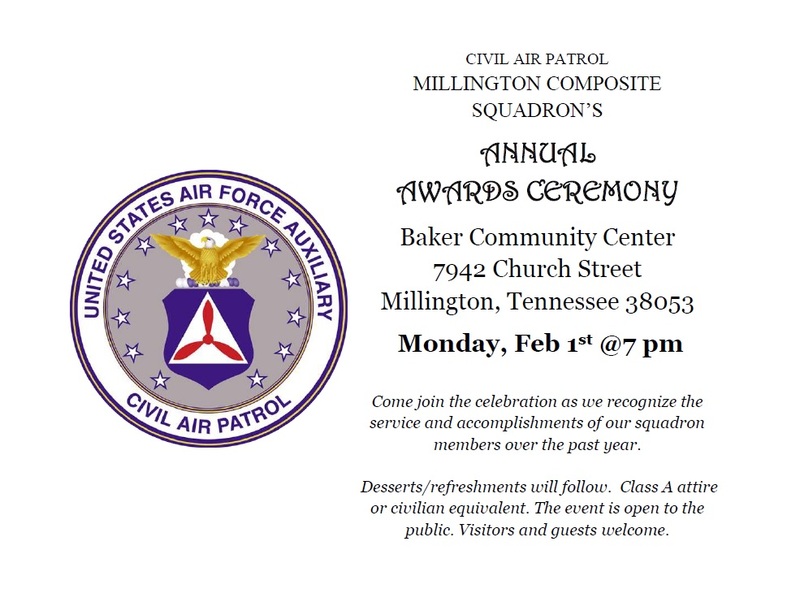 The public is invited to join us this Monday, February 1st at 7pm at the Baker Community Center for Millington Composite Squadron's annual awards ceremony. 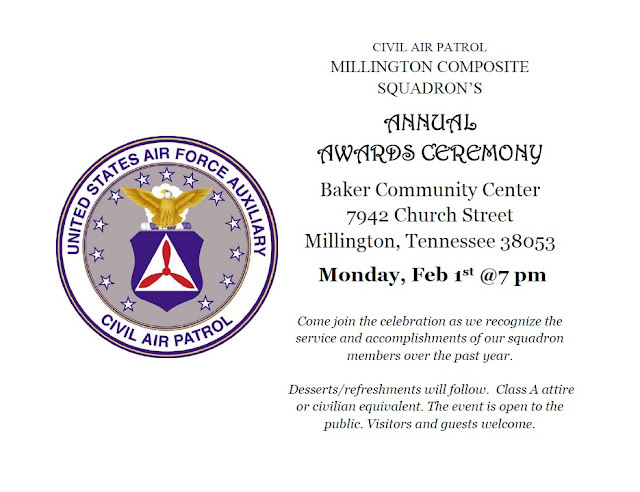 Come celebrate as we honor our members for their service and accomplishments over the past year. Refreshments will follow. 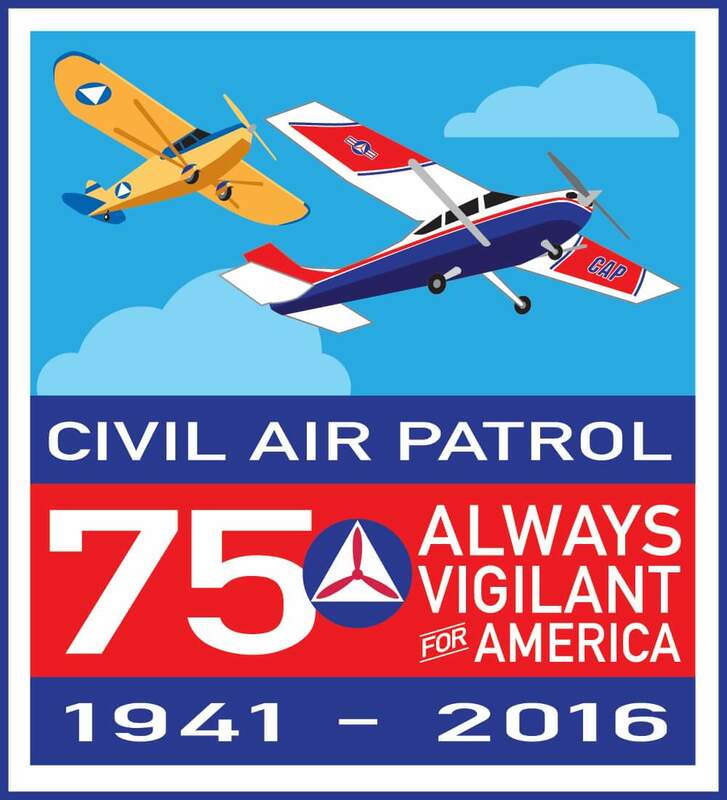 This is a great time to learn more about the programs of Civil Air Patrol and what we are doing here in the community. Everyone is welcome. 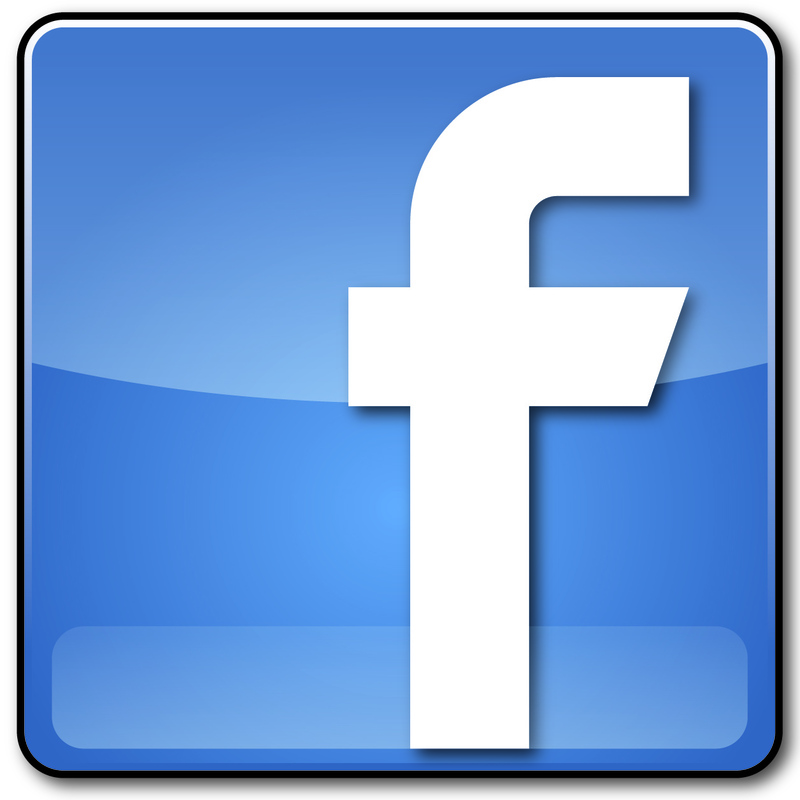 There WILL be a cadet meeting this Saturday, 30 January due to losing one of our meeting dates this month. With the annual awards ceremony taking place this Monday, 1 Feb, this will be a final push to complete any promotion requirements beforehand. 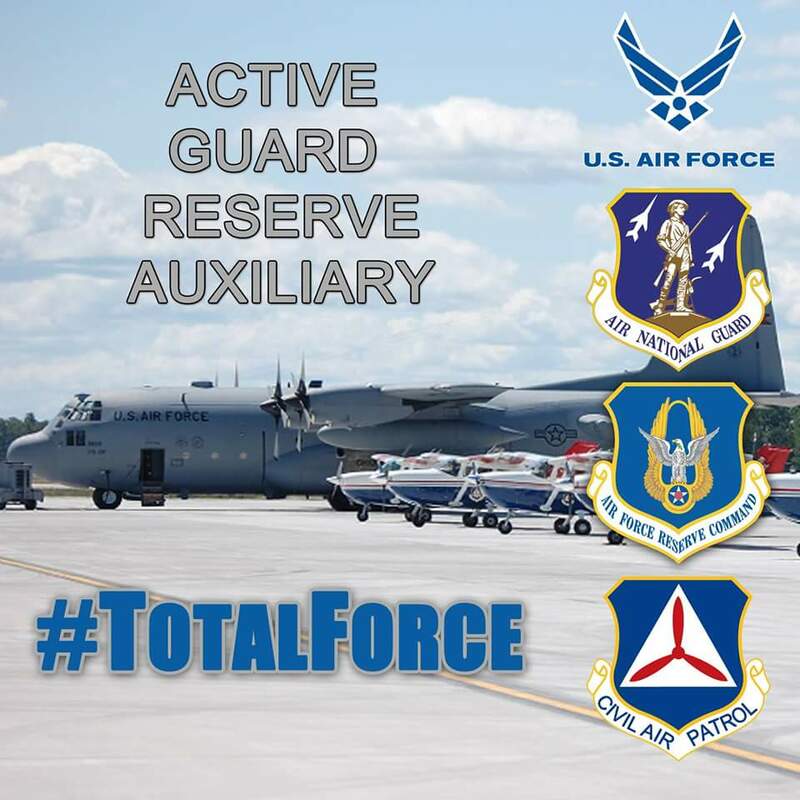 Also, there is a possibility for orientation flights but we won't know until Friday. Check your emails for the agenda. Due to an active mission, there will be no meeting on Saturday, 16 January. For anyone wishing to visit, we invite you to come back next week.